The following Bitstamp review will strive to show you how this young startup has flourished since its launch in 2011. From consistently high trading volumes, to becoming western Europe’s leading platform for trading Bitcoin and a limited selection of other major cryptocurrencies, Bitstamp’s fast progress has impressed observers, investors, and users alike. 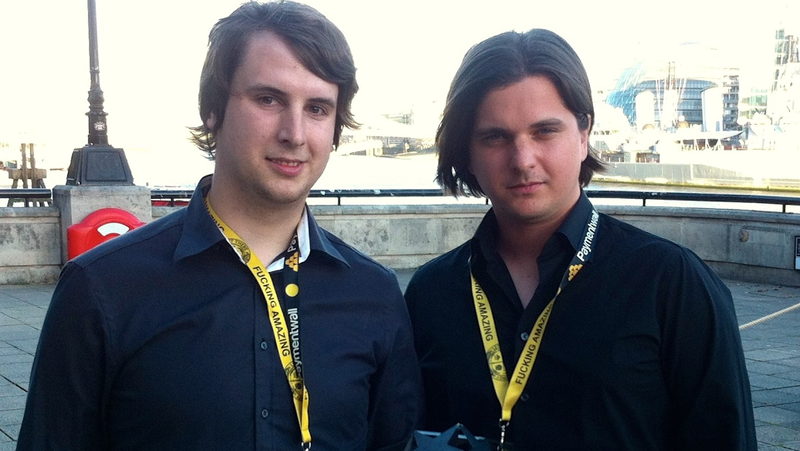 When two 20-year-old Slovenian college-dropouts wanted to invest in bitcoin in 2011, they decided to launch Bitstamp. Software developer and part-time bitcoin miner Damijan Merlak and computer salesman Nejc Kodrič discovered a gap in availability of exchange services for European bitcoin users. The only option available at the time was to wire funds to the now infamous Mt. Gox exchange in Japan. The process took days and often resulted in financial losses due to bitcoin’s high volatility. The two childhood friends (pictured below) decided to set up Bitstamp as an alternative to Mt. Gox and as an easy option for Bitcoin users in Slovenia and surrounding countries. When Mt. Gox collapsed in early 2014, Bitstamp started to establish a more international clientele. It has since grown to become a major player in the industry. Bitstamp provides support for what are commonly referred to as the ‘big four’ of cryptocurrencies. As such, Bitstamp may not be the exchange for you if you’re looking to day trade the numerous up-and-coming altcoins of the day. However, if you’re sticking to the more mainstream cryptos, Bitstamp could be a good shout. Offers a very simple buy/sell user interface, combined with advanced trading pages with detailed graphs, and trading parameters. Has significant trading volumes and therefore represents a good exchange for large purchases or sales. Supports the buying of cryptos using debit and credit cards (recently extended to multiple countries). Regulated by the CSSF (Commission de Surveillance du Secteur Financier) in Luxembourg – thus good standards for keeping users’ funds more secure. Supports trading of Bitcoin Cash & will allocate all owed BCH tokens to customers. Cheaper & more efficient than person-to-person exchanges such as Localbitcoins. Despite a significant theft of its reserves, Bitstamp has maintained a strong reputation and has not suffered from prolonged trading shutdowns. A similar reputation & clientele recovery happened with Bitfinex (major Hong Kong exchange). As with all centralized exchanges, private keys are controlled by the exchange operators. Unlike Coinbase’s free $10 credit for new traders, Bitstamp offers no such freebees (at time of publishing) to attract new users. Account verification takes more than three days. Similar wait times can be expected on Coinbase, CEX, and Kraken. Although extra locations have been added, service is not available in all countries. Bitstamp competitor Coinmama offer similar credit card purchases to users anywhere in the world. Only supports only four cryptocurrencies & slow to add new major altcoins such as Bitcoin Cash & Ethereum. Compared to competitors such as Kraken, Bitstamp has been slow to add popular coins. A long list of unusual fees are applied to user accounts. However fees remain significantly cheaper than exchanges like CEX or Coinmama. Like most first-generation centralised exchanges, Bitstamp holds users’ private keys on its platform. Users must trust the company to secure and safeguard their digital coins. This means users also must trust those in charge of their private keys to remain honest. Meanwhile, users access funds through accounts using passwords and two-factor authentication (2FA). The history of cryptocurrencies has shown that you should avoid entrusting third parties with your private keys. It is therefore a good idea, immediately following a purchase, to move your crypto assets to wallets that are 100% under your control. Experts always recommend bringing your holdings onto exchange platforms only when you are ready to sell. Bitstamp presents their security features from the moment you register an account. After you fill out the registration form, an email is sent containing a customer ID and password to your inbox. You use the ID as your username, and you should change your password immediately the first time you sign in. Before you will be allowed to trade on the platform, you must also verify the account by providing your full name, postal address and date of birth. To authenticate this information, Bitstamp requires you to upload a government-issued ID and a no more than three-months-old utility bill to prove place of residence. The document scans should be of high quality (colour images, 300 dpi resolution or higher), visible in their entirety and current (not expired). After you submit proof of ID, it takes three days for Bitstamp support to approve your application. Bitstamp has experienced one minor & one major security incident since its inception. In February 2014, it was the target of a compromising distributed denial of service attack. The exchange suspended withdrawals for some users for two days to prevent hackers from accessing private keys and cashing out. The attackers blackmailed Bitstamp and demanded 75 bitcoins in ransom. The company refused to pay and cited a policy of non-negotiation with criminals. A year later, in January 2015, an attacker breached the exchange’s security and stole about 19,000 bitcoins. The thieves used Skype and email communications with employees to introduce malware into Bitstamp’s system. The malware retrieved the private keys of the company’s hot wallets. The news only surfaced six months later when someone leaked an internal report about the hack. Bitstamp declined to acknowledge its authenticity. Instead, they successfully requested the document be taken down from the platform on which it was published. Bitstamp charges three types of fees—on deposits and withdrawals, for trading, and for various services. Depositing and withdrawing is free for all cryptocurrencies. However, withdrawing using BitGo Instant will cost you 0.1%. Also transferring Ripple IOUs between accounts costs 0.20% of the value involved. It is free to deposit using SEPA, but you will be charged 0.90 EUR to withdraw using the same channel. International wire transfers cost 0.05% to deposit, with the minimum fee set at $7.5. Withdrawals cost 0.09%, with the minimum set at $15. Charges for using credit cards to make purchases vary depending on the amount involved. It costs 8% for amounts less than $500, 7% for amounts between $500 and $1,000, and 6% for purchases above $1,000 but less than $5,000. It costs 5% for purchases above $5,000. Withdrawing funds from your Bitstamp account using a credit card costs a flat fee of $10 for amounts not exceeding $1,000. For transfers exceeding $1,000, you are charged a fee of 2%. Trading pairs cost a percentage ranging from 0.10% to 0.25%, depending on the volumes involved. The higher the amount traded, the lower the percentage cost you incur. Bitstamp charges for a long list of service and operational fees. The list includes declined cash withdrawals ($0.55), a monthly account fee ($1.95) and a dormancy fee ($5). Users also have the option to develop their own software to access and manage their accounts. Bitstamp has made third party apps possible by offering a custom API. A rating on downdetector.com indicates that the most reported issues with Bitstamp’s website are downtimes (66%) and transfer outs (33%). Users have also pointed to problems with logging in, especially with not receiving verification codes. The exchange offers a mobile app for both Android and Apple. Mobile users can place orders, make deposits and withdraw funds. However these mobile applications have received more negative feedback than positive. Major issues raised by users-reviews include slow customer support, difficulty in executing orders —especially those involving Ripple —and poor trading chart experience. I’ve read many users complaining on forums after receiving similar invasive requests from Bitstamp. I always give credit to exchanges that strive to make the vetting process as smooth as possible for their clients (Kraken does this much better than Bitstamp). Unfortunately, this is a big negative. Please note: most users do not receive this request. Indeed, there appears to be a transaction/withdraw threshold (~10k usd) after which accounts get flagged for some extra “KYC” à la Bitstamp. Bitstamp is a promising exchange with only a few issues that let it down. It doesn’t offer a wide range of cryptocurrencies which could be a downside for some users. Aside from that, the user interface is pretty solid and the mobile app is a nice addition. Overall, Bitstamp is a fairly decent option for trading cryptocurrencies. I just joined the Bitstamp. It took more than a month for verification process. Now I plan to buy some ripples but saw so many comments about Bitstamp. Recently it was on the news with the loss the customer’s deposit. Is it true? They are notorious for their KYC procedure, often making clients jump through multiple hoops before deposit and withdrawal is allowed. Despite this, they are a reputable exchange however patience is advised. For a faster exchange, try the likes of Bittrex. Do NOT use. Took weeks to accept a refund and then charged me over 2,5 percent fees when they say their fees is 0,25%. Really bad customer service and insecure platform. I just joined bitstamp. Soon I’ll uplaod my vetting docs. I want know can I buy xrp ripple. Thank you this valuable information. Does bitstamp provide what is equivalent to a prospectus for its investments and if so what is it called? How do they define dormancy? What are the options for waiving the monthly fee? Do they have available human customers support? I am trying to learn more about this type investment. Thank you for your reply. So do people have problems transferring coins out or cashing out? i am curious to open an account with them but I don’t want headaches when i can’t cash out or withdraw coins to personal wallet…. Does anyone know how to move XRP from the exchange onto an offline wallet? BitStamp is one of the only ones that allows you to buy Ripple using a credit card but like others on here I get no response from support. There’s no point in buying anything if you can’t actually transfer it away imho. Bitstamp is being ridiculous these days. They did not deposit my money for 8 days and counting. 8 days is a big big big time when it comes to bitcoin trading. They did not responded my ticket for 5 days and counting. I am not sure how i am going to trust them anymore. I never had any problem before. It used to take 5-6 hours for deposits being credited. If they are overloaded, they should focus on deposits, not new verifications. 100s of people waiting for their deposits around 10 days. It is really sad and frustrating and not legal. This is probably the best answer to all questions here! I can understand how frustrating it is when you miss a critical trading opportunity. Do remember, as I mentioned in the above comment reply – all bitcoin exchanges are simply overloaded with new users at the moment. Yes, they could be doing better and should have recruited more staff beforehand. I have a very smooth transaction at the beginning. I have tried so hard after to make purchases and send emails to support nothing is working out. Not even a response from them! I will not recommend it to anyone. Remember that support teams across all bitcoin sites are overloaded with new users flooding in from all areas since early November 2017. The response time delays should clear up, but time is necessary. Who can tell me how many days the bitstamp need to deposit for international wire transfer? (from US). My money wired a week ago(over 5 business days), so far “o” balance in my account. The thing is they didn’t reply any emails I sent and no one answer the phone…. Yeah many of these bitcoin exchange are simply buckling under the huge waves of new users coming in at high trading times. Sometimes you will experience downtime. Be very aware using Bitstamp. Currently they have too many clients resulting in the inability to sell your shares or buy shares in high volume times. You could lose everything because they don’t have enough servers. I 100% recommend you use any other exchange. It happened to me and they sent me an email pretty much saying they could care less. I tried to sell numerous times during a sudden drop and it kept saying error. Finally I guess one went through but an hour later and it sold well below the current stock value. There is no compensation and they take no fault for it. Thanks for sharing your experience of Bitstamp at high trading times. I have been seeing issues with the trading engine on Kraken, especially during high peak trading, but not on Bitstamp yet. Has anyone else experienced this? I do agree that BitStamp is seemingly going in too much with their questions. Sure, you’ve had transactions going over $10k, but you’ve done it after verifying your account by giving copies of your ID and other info. Why should users have to answer whether they also use other exchanges? It seems less about customers safe and more about grabbing information for free. I appreciate the fact that they follow the rules set by Luxembourg’s CSSF, but they should know the limits of what they demand the customers to do. This also seems a bit hypocritical on their part. They want to know as much from their customers, but they were completely silent about the July 2015 incident leading to the loss of 19k BTC? Strange. Hello. Can anyone please tell me how much time does bitstamp take for international wire withdrawal and apart from the 0.09% + $15 , does it charge any other fee for internation withdrawal. I’ve been using Bitstamp since 2014. I have only good things to say about them. In 2015 I used Bitstamp to purchase a good chunk of BTC and in July of this year I used them to cash out a large sum to my Swedish bank account. The cash was in my bank account in two days. How long does it take to fund Bitstamp account via international wire transfer ? Yeah i’m also going to back this comment up: my personal review of Bitstamp is very high. They’ve got an easy to use layout, their website is always up and running. I trade approx 100 euro per week and withdraws are ok for me. Bitstamp has to be one of the best places to buy bitcoin in Europe. That is some nice investment timing there – well done 🙂 It’s nice to hear such good reviews of Bitstamp. In 2017 they hold a large share of the bitcoin trading market (and increasingly other cryptocurrencies) with thousands of satisfied customers. I’ve been using Bitstamp for a couple of years. I like and trust Bitstamp and Coinbase, my 2 go-to exchanges. I don’t like the Polionex GUI and am always ancy when I use it. I’d love analogous articles on Coinbase, Kracken, and Polionex. I detest the “socialist” approaches Bitfinex took to manage their theft and the “haircut” they have everyone on the Bitcoincash conversion. Thanks for your feedback. I’ve tried to remain as balanced as possible throughout this Bitstamp assessment. Don’t worry about receiving verification emails until you actually do. As I said above, not everyone gets flagged. Many people love using Bitstamp for simple trading, I think this is one of its strong points – it’s very easy to use. You could even say that Bitstamp is Coinbase’s strongest European competitor, tied closely with Kraken. There are fees you mentioned on this article that I’ve never seen and noticed so far. Monthly fee and dormant fees. Never happened so far and I’m using Bitstamp since 5 months. They might nol longer apply as I found that shocking when reading your article at first and I’ve eve checked in all my history and compare the balances, nothing hidden. That’s also their mojo after all, no hidden fees. Go through terms and condition, deposit/withdraw fee, monthly fee 1.92 all is there. It can’t work without fee. Let me look into this. Can anyone confirm this Bitstamp fee information ? 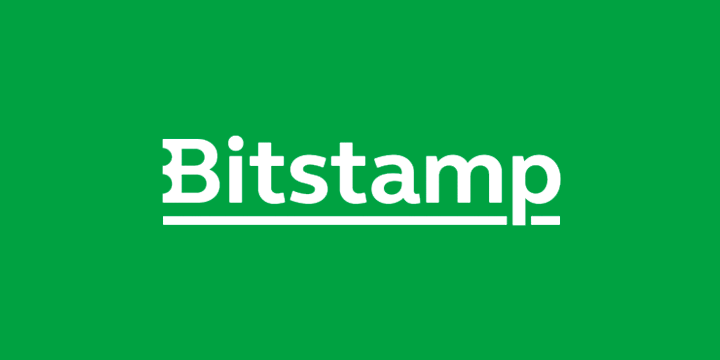 Are you employee for bitstamp? I don’t know if you can help about my international wire transfer issue? Why does their support (customer service) never reply the email? even they got the wire money over a week….